Visiting Northwestern students also may use the opportunity to acquire or hone French language skills by taking courses in French as a foreign language. The academic year at ENS de Lyon runs from mid-September to mid-May. Northwestern students may opt to come for one, two, or three quarters. During the students' time at the ENS Lyon, they will be provided with a faculty adviser, be able to enroll in seminars, have access to the library, and otherwise enjoy the rights and privileges of the regularly admitted students. They may also participate in a program that will team them up with a Lyon student “buddy” who will share his/her experience of the city. For more information, read the ENS de Lyon exchange call for applications document. Applicants should have completed their graduate coursework and be in the process of conceptualizing or pursuing a doctoral research project. Candidates are encouraged to identify in their application one or two potential faculty advisors at ENS Lyon. Our group will contribute up to $1,300 toward airfare. Admission into the exchange does not carry a stipend, but the ENS Lyon offers subsidized on-campus housing at the Résidence Bonnamour. Northwestern students may go to Lyon on their second year of NU fellowship, or they can apply to external funding. Calls for applications are typically made late-fall with the application deadline in late-winter for the following academic year. 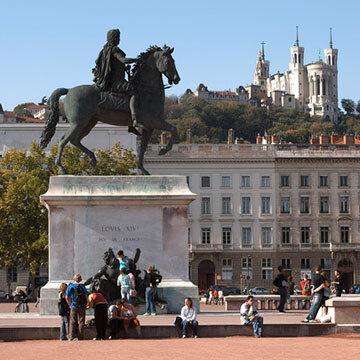 Espace Ulys offers detailed information on travel documents and daily life at ENS-Lyon FIG will contribute a fixed amount toward your airfare once the trip has been completed. Please send your documentation (including ticket receipt and boarding passes) to Jill Ware upon your return to process the reimbursement. Upon your return, please send a one-page report on your research experience in Lyon to the FIG director.